Seaford Town Council is pleased to announce that the Old Town Hall has been reopened by the new group Seaford Old Town Hall Community Tea Rooms. The Old Town Hall opened its doors on 16th March to continue the service previously provided by the St James’ Trust which proved to be a valuable service for people to meet one another within the local community. The Seaford Old Town Hall Community Tea Rooms are open for light refreshments including tea, coffee, biscuits and cakes; opening times run from Mon- Fri 10 am – 1 pm and Saturdays 10 am –12 pm. This service is open for the over 50s and the disabled in the community. The volunteers are trialling the running the facility themselves for a three month period. Whilst they have all the experience needed to serve the teas and coffees they are looking for someone to help do all their administration who is IT literate. This should be no more than an hour a week and is pivotal to keeping the community facility running well into the future. 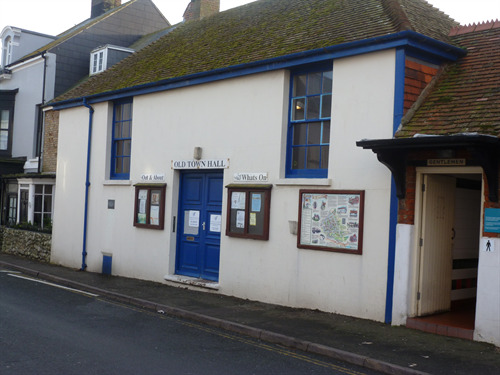 If you think you are able to lend a hand for a an hour a week please go to the Old Town Hall and speak to one of the volunteers or alternatively contact Seaford Town Council on 01323 894870 or email in to admin@seafordtowncouncil.gov.uk for more information.